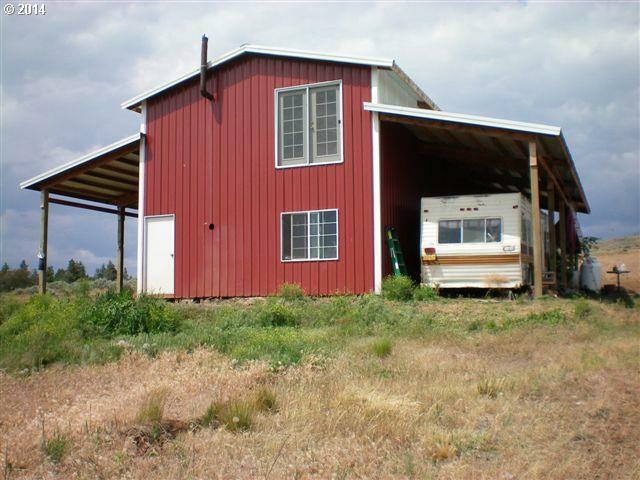 22x46 multi-purpose barn/garage/shop/storage building has 12x46 lean-tos on each side for RV parking. Underground power, well (30 GPM on well log), septic evaluation will let you settle in quickly. 2 lofts, top one has French doors, needs deck. Open areas and prime home site with a 360 view; equestrian development to the west and Mt. Hood beyond. Property goes to the other side of the seasonal creek (with spring) and part way up hill.